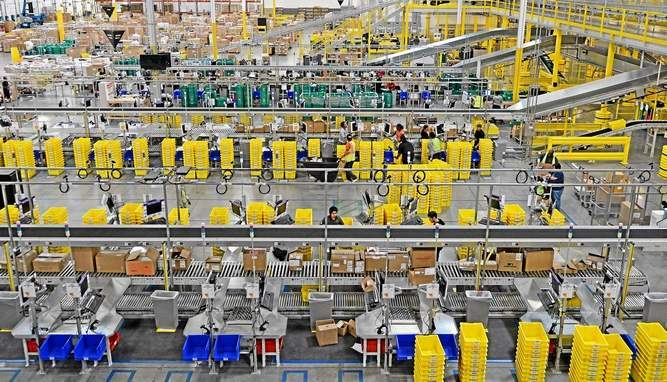 Amazon is creating 1,000 full-time jobs in the Inland Empire. The online retailer announced Tuesday that it is looking to fill the positions at its San Bernardino, Moreno Valley and Redlands fulfillment centers to meet growing customer demand. Last week Amazon announced that it would hire 6,000 full-time employees throughout the country. “We’re growing to meet customer demand in Southern California and these new full-time positions are because of the great workforce we have found in the Inland Empire,” said Ashley Robinson, Amazon spokeswoman. About 4,000 full-time jobs have been created at Amazon’s fulfillment centers in the Inland Empire since 2012 when the company opened its first California fulfillment center in San Bernardino. The fulfillment centers in Redlands and Moreno Valley opened in 2014.